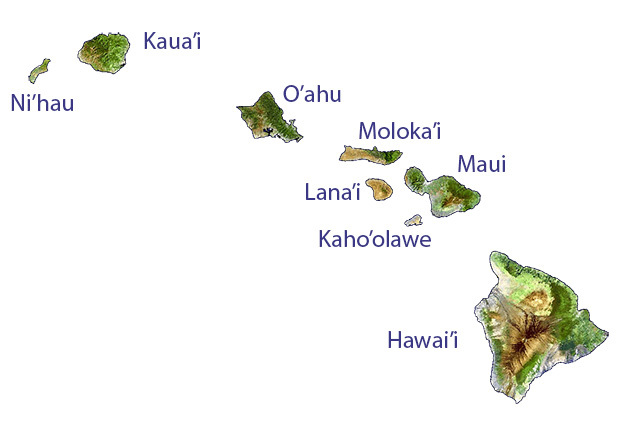 Hawai'i State Name Origin | What does "Hawaii" mean? Captain James Cook discovered the islands in 1778 and named the group "the Sandwich islands" (in honor of the Earl of Sandwich). 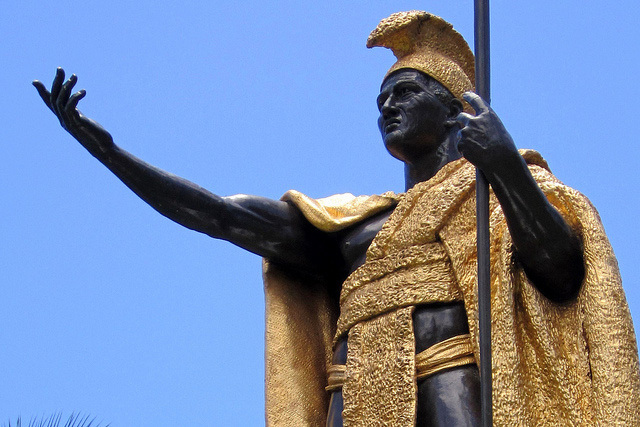 This name lasted until King Kamehameha I united the islands under his rule in 1819 as the "Kingdom of Hawai'i." Statue of King Kamehameha I (O'ahu - Honolulu - Capitol District); photo by Wally Gobetz on Flickr (noncommercial use permitted with attribution / no derivative works). Add Media for Origin of "Hawaii"